Wishgard LLC is proud to be a part of the Oil and Gas industry. The many benefits of Oil & Gas along with the the Petroleum Industry in general are significant and should be promoted. As an Oil & Gas company, Wishgard strives to make the best possible arrangement to benefit the individual and community, while encouraging production in the Marcellus and Utica Shale regions of the Appalachian Basin. Our expertise permits us to assist companies and landowners with local work and job creation. Note: We recently updated our News and Events sections to include links to O&G related articles that educate and support our goals. Please access the News and Events Tab to the left and follow the links. 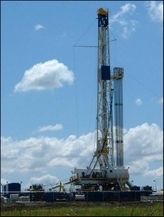 Wishgard LLC is an Oil & Gas Company. Wishgard LLC is not a law firm and does not provide legal services.